Since I’ve put forth plenty of bipartisan criticism of Hillary Clinton and Donald Trump (a.k.a., Tweedledee and Tweedledum), it’s time lighten the mood with some bipartisan humor about the two major party candidates. Glenn McCoy has an amusing (in a sad way) cartoon about Donald Trump’s assertion that he’s in great health. 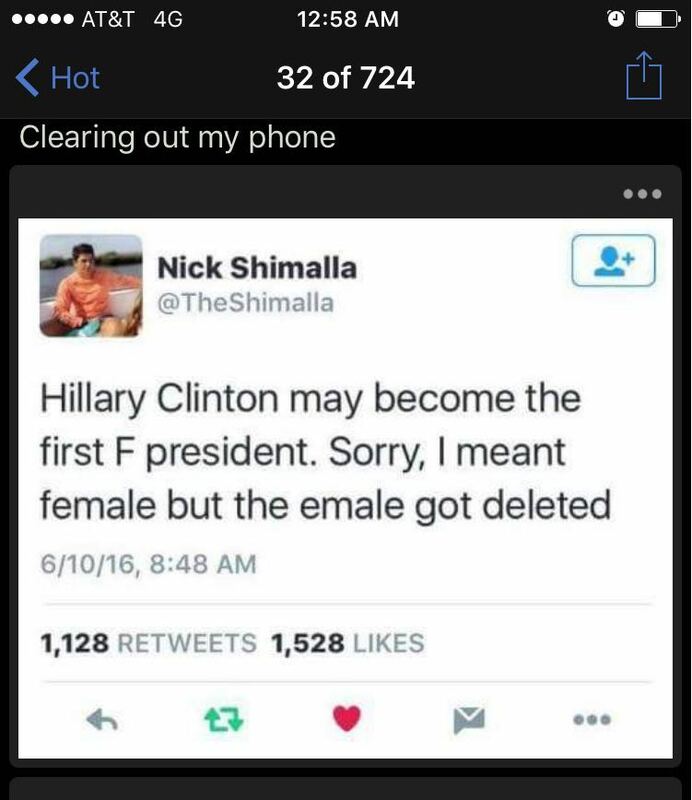 And here’s a guy who came up with some very clever humor referencing Hillary’s email scandal. Hopefully these two images will help you survive the Clinton-Trump debate. P.S. Since I’m not feeling particularly charitable to the political class, let’s close by recycling some biting humor against the crowd in Washington, starting with this clever image. Reminds me of this Star Wars-themed joke about Washington. If you like mocking the political class, I have lots of other material for you to enjoy. You can read about how the men and women in DC spend their time screwing us and wasting our money. We also have some examples of what people in Montana, Louisiana, Nevada, and Wyoming think about big-spending politicians. This little girl has a succinct message for our political masters, here are a couple of good images capturing the relationship between politicians and taxpayers, and here is a somewhat off-color Little Johnny joke. Speaking of risqué humor, here’s a portrayal of a politician and lobbyist interacting. Returning to G-rated material, you can read about the blind rabbit who finds a politician. And everyone enjoys political satire, as can be found in these excerpts from the always popular Dave Barry. Let’s not forgot to include this joke by doctors about the crowd in Washington. And last but not least, here’s the motivational motto of the average politician. P.P.P.S. One serious point. If we want to clean up corruption in Washington, more campaign finance laws won’t work. The only way to reduce corruption is to shrink the size of government. Let’s not forget that Donald Trump is *not* part of the political class. 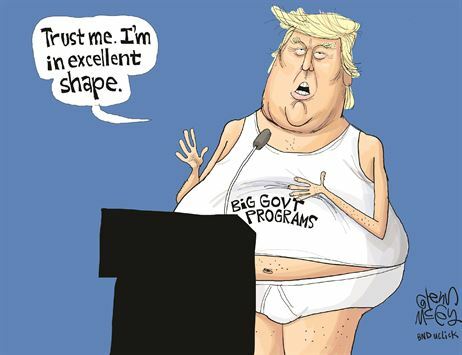 Regardless of his personal characteristics, I think his business instincts will drive him to reduce the size and scope of the federal government.